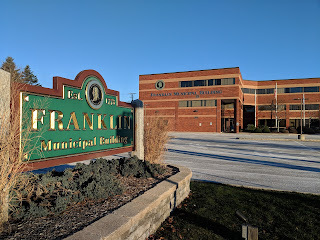 "Snow and ice is on the way and Franklin needs help getting rid of it. During the Town Council meeting on Wednesday, members will be discussing the lack of contractors available to help plow streets during winter storms. Without proper help, according to Deputy Town Administrator Jaime Hellen, there could be more school delays, unplowed sidewalks and icier roads. “The impacts that people need to know about the expectation of the roads is going to be really important to know,” Hellen said. The town had 71 signed contractors to plow snow last winter. So far this year, only 32 have signed up. Hellen said that with more than a 50-percent decline in helping hands, there could be trouble." "The fire chief said smoke detectors likely limited a Saturday-morning blaze on Hawthorne Drive to the basement, allowing the occupants to escape unharmed. The fire started about 11:44 a.m. at 19 Hawthorne Drive and was fought by outfits in Wrentham, Plainville, Norfolk, Bellingham and Milford. There were two adults in the house at the time, both of which made it out safely. Though the house did suffer smoke damage, the fire was contained to the basement. McCarraher emphasized that due to working smoke detectors, the fire was contained before anyone was harmed.